Wishing your Raspberry Pi had more power for all those hardware hacking projects you have planned? There's a new barebones board on the market that may better fit your needs, and right now you can sign-up for your chance to get it for free. Imagination Technologies announced on Wednesday the MIPS Creator CI20, a development board that can run Linux distros such as Debian 7, Gentoo, and Arch, and in the coming weeks Android 4.4. As its name suggests, the CI20 is packed with a dual-core 1.2GHz processor using the MIPS architecture. 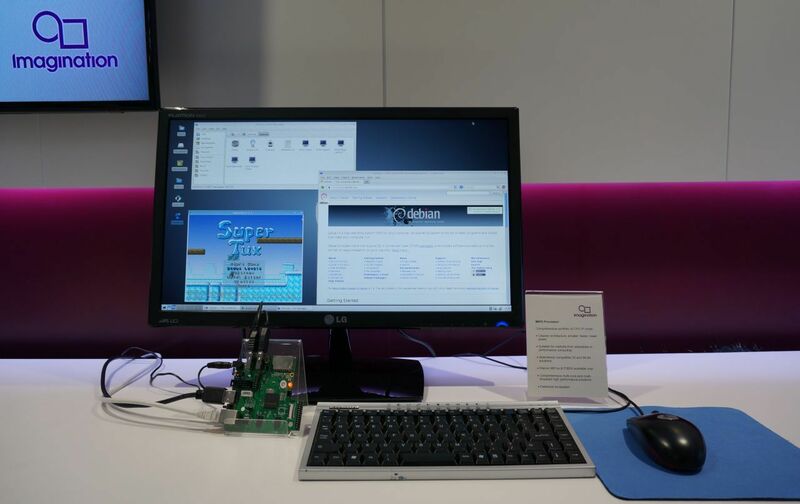 The board also features 1GB of RAM, 8GB of onboard storage, SD expansion slot, a pair of USB 2.0 ports, Ethernet, Wi-Fi, Bluetooth 4.0, HDMI out, and a PowerVR SGX540 GPU capable of running OpenGL ES 2.0. The device has 25 GPIO pins and 2 SPI buses, and the board is bootable from flash memory or the SD slot. Compared to the new Raspberry Pi B+, the CI20 has double the RAM, a faster processor, onboard storage (there's none on the B+), and Bluetooth and Wi-Fi built-in. Plus, the CI20 comes with its own power supply, which the B+ does not. But you do have to make do with fewer USB ports, as the B+ has four while the CI20 only has two. The CI20 is also bigger than the B+ measuring 3.5-by-3.75 inches compared to the B+'s 2.2-by-3.4 inches. The CI20 running Debian 7. 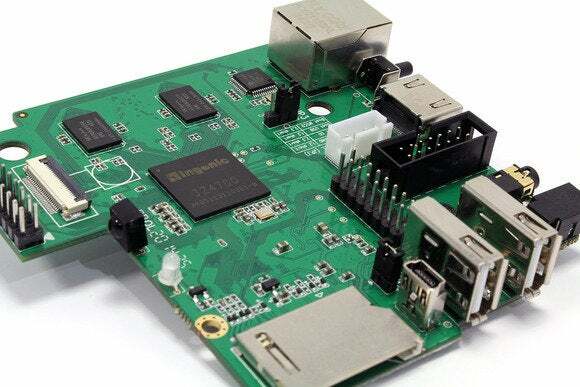 With all that extra horsepower, onboard storage, and wireless connectivity, it's a good bet the CI20 will be priced higher than the $35 Raspbery Pi B+. But we'll have to keep on guessing how much higher for a little while longer. Imagination doesn't plan on selling the initial batch of CI20 boards. Instead, the company is giving them away for free to tinkerers. To get your hands on a CI20, however, you have to have a rockin' project idea for the board. That suggests this giveaway is really aimed at developers, and not hobbyists looking to create a TOR proxy/home entertainment center/video arcade console at home. But who knows? Maybe your weekend project idea to create a CI20-based home automation hub is interesting enough to beat out the other applicants. You might have to hold off on your application, however. At this writing, Imagination's website was crashing hard, presumably due to an overwhelming interest in a free development board.